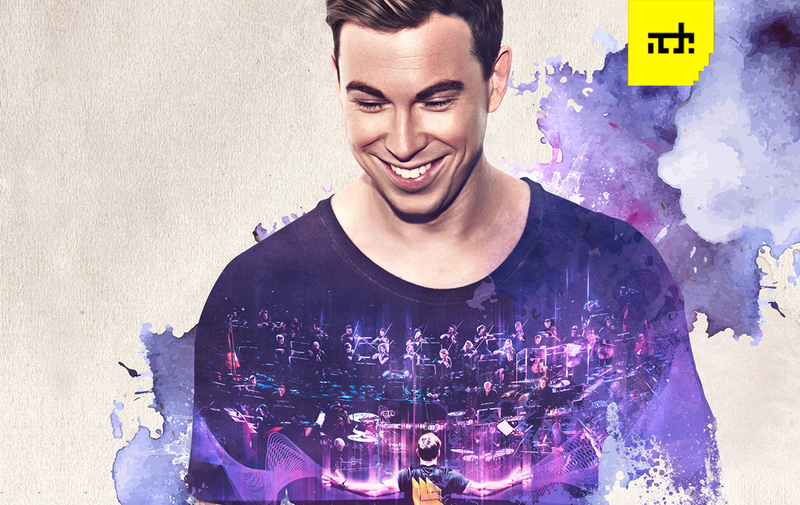 On Thursday 18 October 2018, Metropole Orkest and Hardwell will give a unique concert in Ziggo Dome, Amsterdam. During ‘Symphony: The Global Revolution of Dance’, the world-famous dj, together with the world’s leading pop & jazz orchestra, takes the audience on a musical journey through the history of dance music. An all ages concert that starts with the rise of dance music in the 80’s and ends at the mega clubs of today. Hardwell and Metropole Orkest, recently announced their collaboration with the release of the track Conquerors. With the addition of this unique concert for an all-age audience, the collaboration reaches a high point that can be seen and heard in Ziggo Dome. The spectacular show of the legendary DJ and the Metropole Orkest is characterized by the composition of different music periods, from the 80s to the present. Hits from various world stars pass by, from Donna Summer to Tiësto, from Carl Cox to Daft Punk. The pre-sale of this one-off show during Amsterdam Dance Event starts on Friday, June 15 at 10 am, after which the worldwide ticket sale follows on June 18 at 10 am.